These time-saving occlusal rims are available in Straight blocks or pre-curved rims. 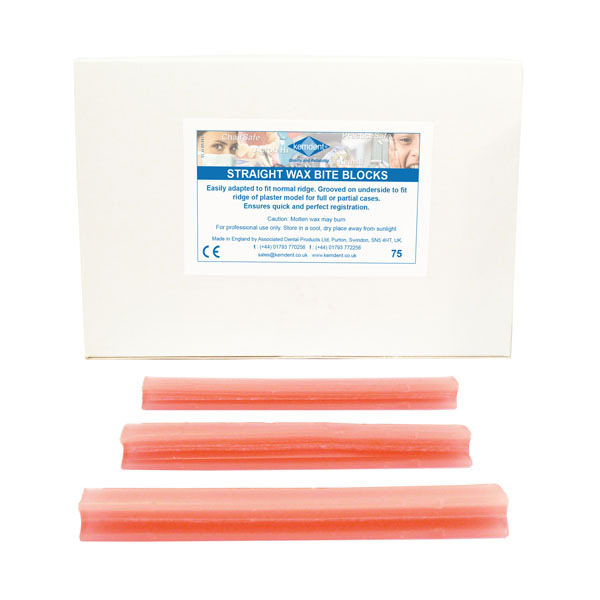 Occlusal rims eliminate the risk of porosity (associated with hand rolled sheets of modelling wax) Kemdent Wax Bite Rim Blocks enable a rapid set up, hold teeth in place firmly and suit a wide range of temperature and climatic conditions. We always recommend Dental Technicians warm the blocks in hot water for best results.